It's time to get in that spring cleaning mood, D.C. — and for Mayor Muriel Bowser, that means doing away with confusing street signs around the city. And D.C. needs your help. It’s just about time to get in that spring cleaning mood, D.C. — and for Mayor Muriel Bowser, that means doing away with confusing street signs around the city. With #GoodSignDC, a new initiative Bowser will debut Wednesday morning, the city is determined to oust misplaced, contradictory or outright confusing road signs once and for all — and it needs your help to get it done. Bowser will kick off the new social media initiative at 11:30 a.m., along with a new, yearlong workforce training program designed to prepare D.C. residents for a transportation career as sign installers. But if you’re Twitter or Instagram-savvy and desperate at the opportunity to exact revenge on that migraine-inducing parking sign outside your window, you don’t have wait until 11:30 a.m. to do it. 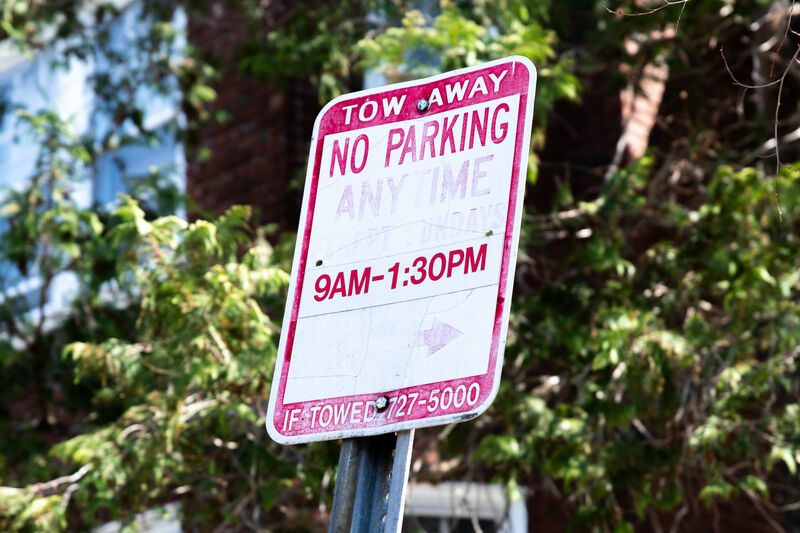 “Through April 15, residents are encouraged to share #GoodSignDC to alert the District about street signs, such as parking signs, that are confusing or are in need of replacement,” the District Department of Transportation said in a news release. Share a photo and location of the sign on social media with hashtag #GoodSignDC. And if you’re tweeting, consider tagging @WTOP and @WTOPTraffic too — we’re eager to see what people find.